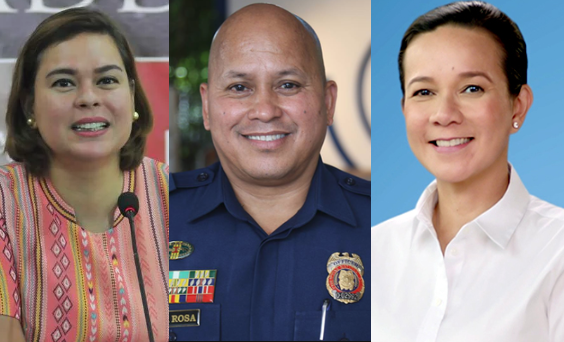 Home / News / Politics / Latest Pulse Asia Survey: Sara Duterte, Dela Rosa, Poe in Senate "Magic 12"
Latest Pulse Asia Survey: Sara Duterte, Dela Rosa, Poe in Senate "Magic 12"
On Monday, July 9, 2018, Pulse Asia survey released a report that if ever elections will be held today, Davao City Mayor Sara Duterte and former Philippine National Police chief Ronald "Bato" dela Rosa would be front-runners in the Senate's "Magic 12". 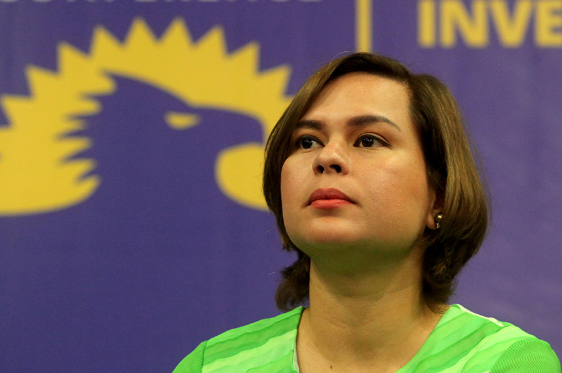 The survey which was conducted last June 15-21, demonstrated the President's daughter, Mayor Sara Duterte of Davao, landing in 3rd-5th place, with 46.2 of respondents saying they would vote in favor of her. Then again, 37.7 percent of respondents said they would vote in favor of Dela Rosa, sufficient for 5th-12th place. Meanwhile, Senator Grace Poe bested the "Magic 12", with 67.4 percent of respondents, while Pia Cayetano got the 2nd post with 55.7 percent. 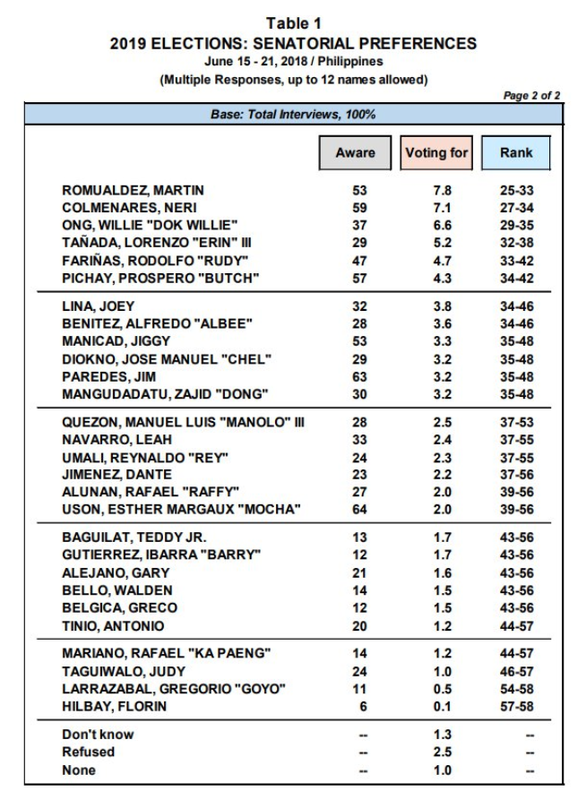 Included on the list of Magic 12 are Cynthia Villar with 50.1 percent, Edgardo "Sonny" Angara Jr. - 41.9, Jinggoy Estrada - 37.9, Aquilino Martin "Koko" Pimentel III - 37.7, Nancy Binay -37.1, Sergio "Serge" Osmeña - 36.6, Lito Lapid - 36.2 and JV Ejercito with 35.6. percent. Paolo Benigno "Bam" Aquino however, got the 13th slot with 32.1 percent. The survey also placed Ilocos Norte Gov. 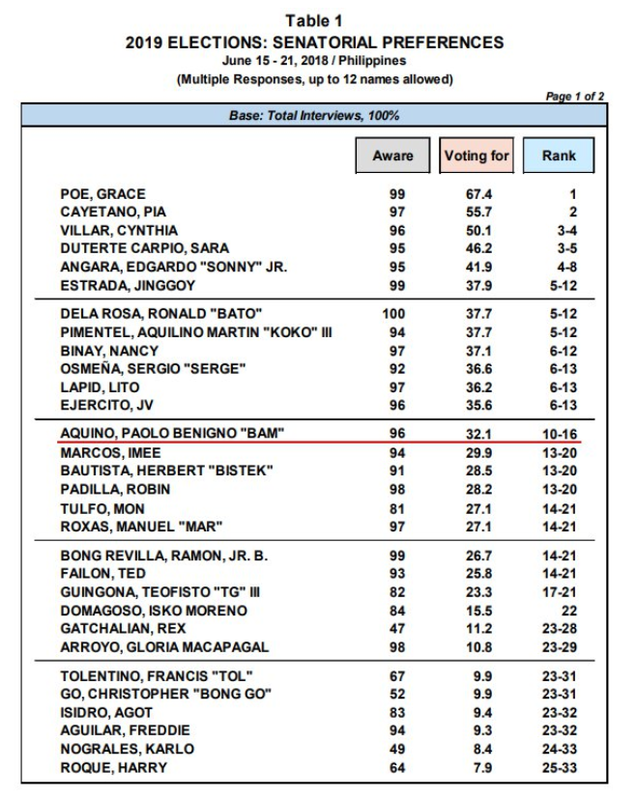 Imee Marcos in 13th-20th position. On the other hand, other candidates who failed to make it to the top 12 are Herbert "Bistek" Bautista (13-20), Mar Roxas (14-21), Ramon "Bong" Revilla Jr. (14-21), Francis Tolentino (23-31) and Bong Go (23-31).